One of the most distinctive features of the Atari is the fact that the program recorder uses one channel for serial data and one for normal sound. This means that you can replay music and spoken words during loading. Based on this feature, Atari released a number of educational software titles. One of them is the "Atari Speed Reading" course from 1981. On the picture below you can see Tigerduck an me after we spent the whole evening trying to sample the first tape using a notebook with AudaCity, a hi-fi system and put a back on a tape again. It took quite a while but finally we managed to find the right recoding and re-recording settings to make it work also on the Atari again. The content has been split into into individual PHP pages. So instead of editing an HTML document with almost 4000 lines, I can not update more selectively and more frequently. In case you experience problem with the site now, please contact me. The FAQ section on the tab WUDSN IDE has been structured into the sections ""Installation, Configuration, Editing and Compiling"
When I try to start Eclipse is get an error like "Failed to load the JNI shared library 'C:\Program Files (x86)\Java\jre6\bin\client\jvm.dll'". What is wrong? 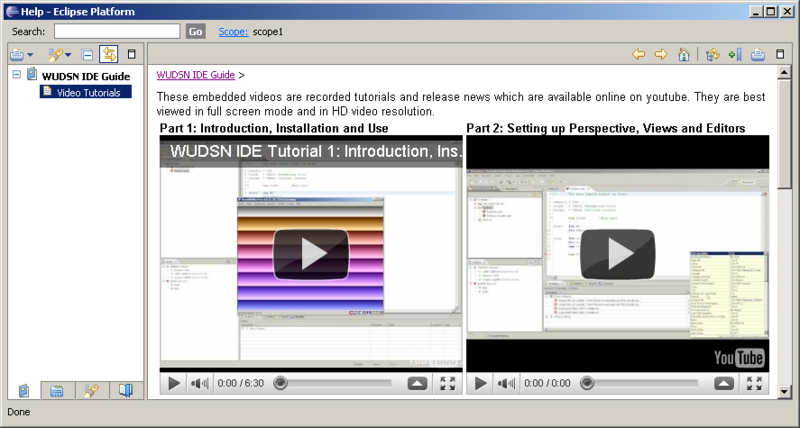 Why is WUDSN IDE not available via the update site? Why is MADS the primary compiler? Why do I get the error "No ORG defined" when compiling the example from the tutorial? How to I convert an ATASM source for to MADS format? On this date, one of the most prominent, influential and gentle guys in the Atari 8-bit scene died: Radek Štěrba, also known as R.A.S.T.E.R. I was hoping to see him again next week. Now I'm deeply sad and to be honest don't know how to handle it. I met him on the 30th of July, and that's also the day when I lost him. For those who did not have the chance to meet him personally, I recommend to have a look at the more then 100 releases from Radek. And that's only the software part. Therefore I provide here the English translation of Fandal's blog entry from 2008-01-28. Thanks to twh for the German translation. When writing something about Radek Štěrba you cannot but write in superlatives. For the majority of Atarians he is a living legend, simply superhuman, for some even a demigod. Imagine that. Raster is dedicated to software and hardware development, is an outstanding musician, graphic designer, coder and writes games and demos. In the world there are not many people like him, especially not here with us. When Jirka Bernášek (Bewesoft) and Davi Spilka (Datri) left the Atari scene, he had absolutely no competitors left in the Czech Republic and nothing indicates that this situation will ever change. So let us take a closer look at Raster. Let's start with software. The database on a8.fandal.cz contains more than 80 (!!) entries with his name - quite unbelievable. Some of the most famous games from Raster include undoubtedly the outstanding Naturix, Magnetit, Videopoly and Dangerous Street, as well as the games series created in cooperation with Robert Knill which includes Gunhead, Predator or Imagine which where. More recently he created incredibly popular Multijoy games like Cervi, Cervi 2, and Shot’em All. 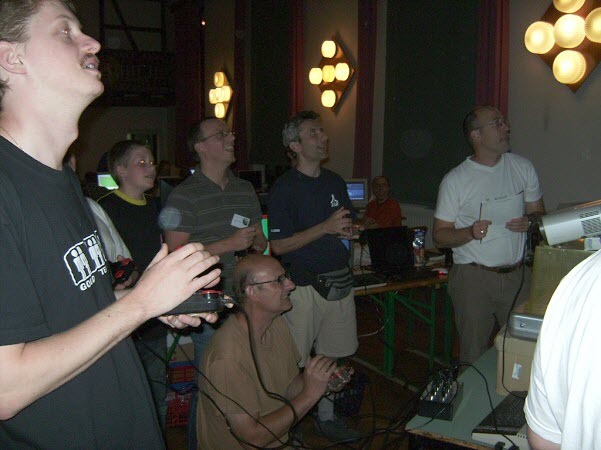 In the demo scene Raster scored a lot with his "Self Demo" and his 1kb intros with which he beat his competitors at the famous Forever Party on more than one occasion. Of course we should not forget the famous Raster Music Tracker, a Windows music editor which unleashed a real revolution in the musical development of the small Atari. Finally, Raster created a large amount of native and cross-platform utilities. All this is just unbelievable! And the list does not end with Raster’s software activities in the Atari Scene. He is also a hardware guru. By creating Multijoy Raster created an interface that makes it possible to connect 8 or even 16 joysticks to a single Atari. This hardware wonder allows you to play together simultaneously. Moreover, our hero is responsible for the S/XEGS RAMCart Project, a programmable 128 kB cartridge which supports the vast majority of our beloved Atari's cartridge types. At present Raster is working together with Bob!K on another - initially top secret - hardware project, which will make an impact again – you can be sure of that. 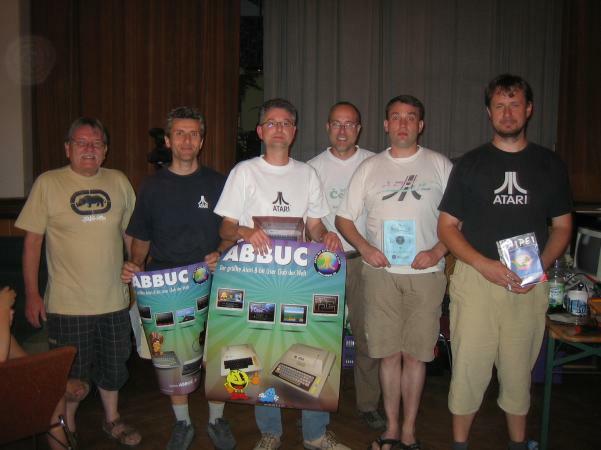 To sum it up: Raster is a hyperactive Atari all-rounder, an Atari master at professor level, the driving force of Atari Club Prostějov, the first man in the Flop-magazine, a superstar with format who deserves a monument. He is by far the most notable and famous Czech Atarian of all time and his popularity will continue to grow every year. We can be glad to have him in our midst. I believe that not only foreign Atarians, but also people from other platforms are secretly envious of us. PS: If this tribute sounds like some heroic epic, then you should know that this is completely intentional. This man really deserves it. Someone just had to say it. 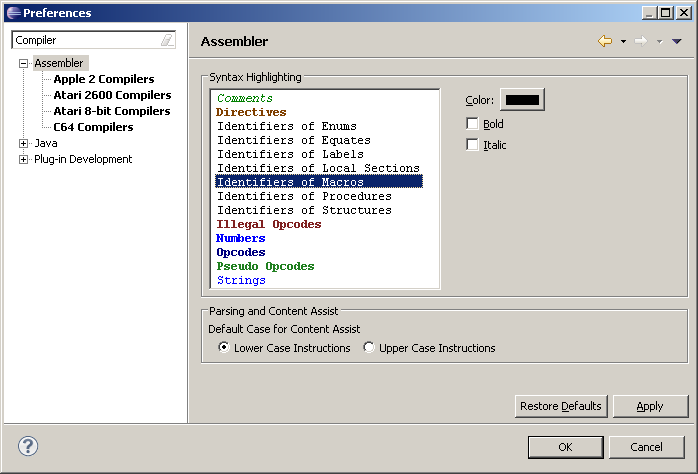 After 5 months I have completed a new major update of WUDSN IDE with a bunch a new features and improvements. Some of the new features like the graphics conversion and the content assist for identifier are still "beta" but already usable and useful. For example the syntax highlighting sometimes detects keywords within other words. This will be corrected soon. All editor names have been extended with the platform like "ACME (C64)"
MADS (Atari 8-bit) is the new default editor for the file extension ".asm" for new installations. You can change this as you desire in the preferences panel "General/Editors/File Associations"
The graphics editor now supports viewing for all 23 Atari 8-bit image formats supported by version 1.0.1 of "FAIL (First Atari Image Library)" plus C64 charsets and sprites. This includes hires and multi color charsets, images with palettes and true color images.